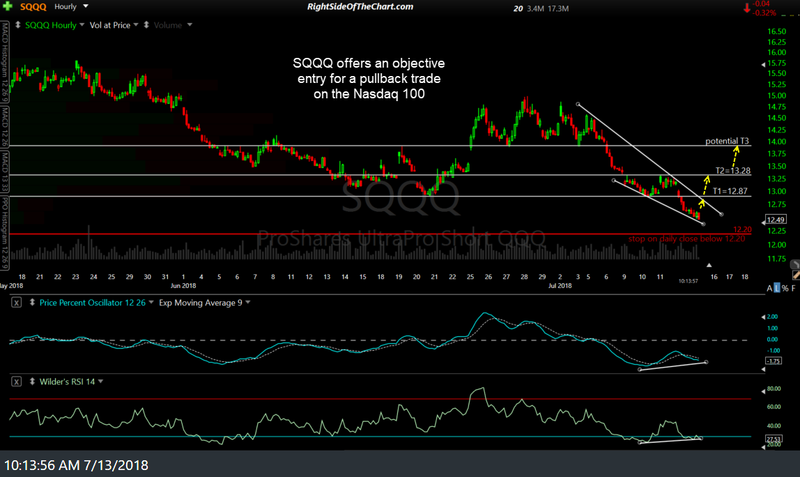 After hitting the first target for a 3.8% gain*, SQQQ went on to trigger the suggested stop yesterday for a 5.2% loss*. (*gain & loss calculations not adjusted for the 0.40 or 40% beta-adjusted position size to account for the 3x leverage). 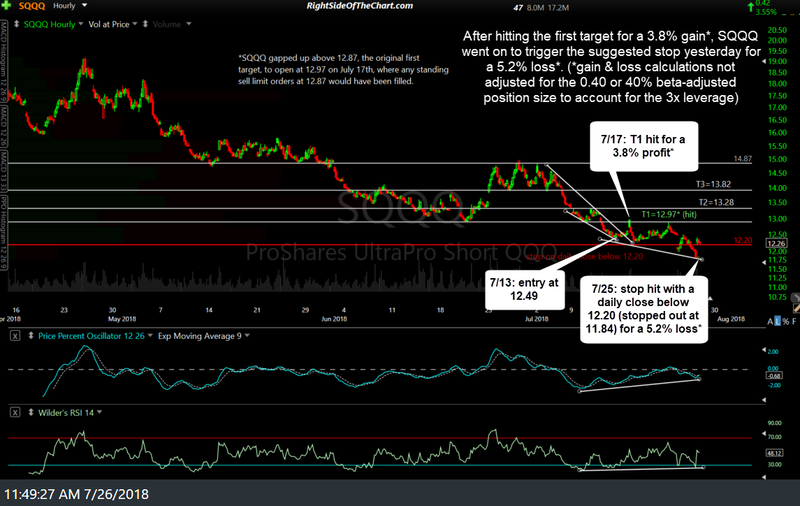 Previous & updated 60-minute charts below. SQQQ will now be moved to the Completed Trades archives. 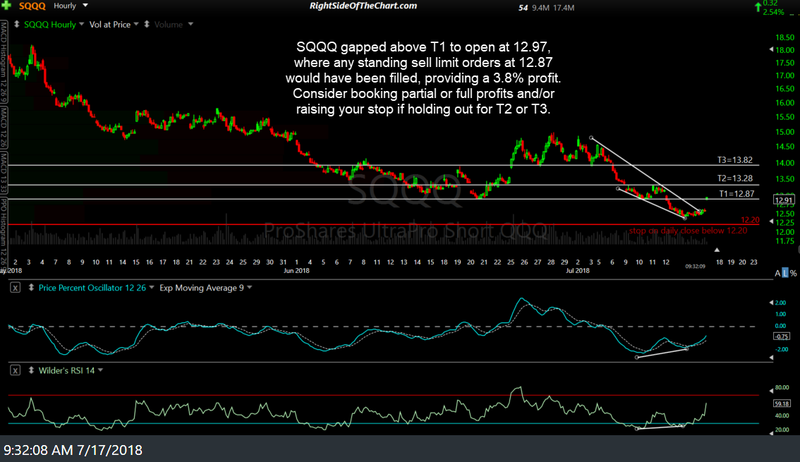 However, with the recent positive (bullish) divergence on the SQQQ 60-minute chart now even larger (i.e.- negative divergence on QQQ), it still appears that SQQQ is poised to rally up to T2 & T3 in the coming days/weeks & as such, SQQQ is one watch for another long entry (or a QQQ short trade).